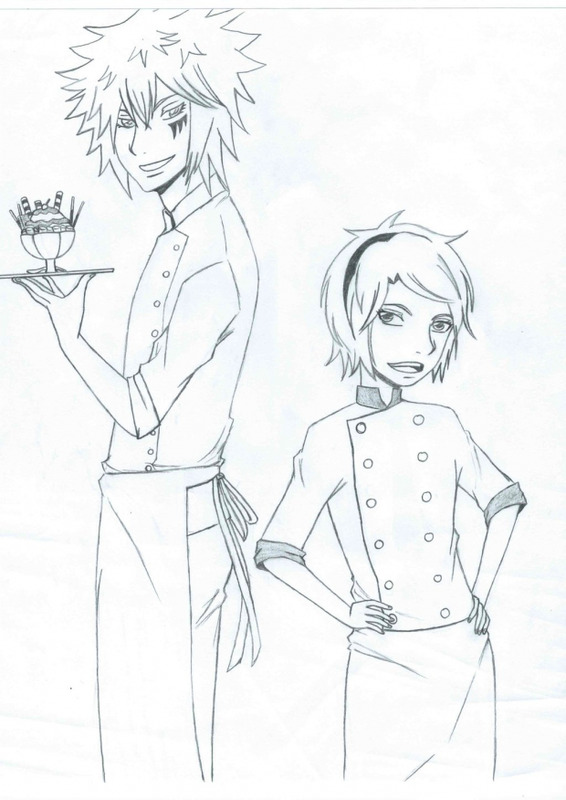 Byakuran and Yuya are co-workers at Moonlit Cafe. Yuya is quite shorter than him because she's only 16 years old and he's 25 (let's all assume that Byakuran is indeed 25). Yuya is not a fan fiction OC, she's a character in my original story and since in my fan fiction Byakuran is a pastry chef, then wouldn't it be awesome if I cross the two stories together where Yuya is a chef also? She's just a minor character in the fanfic and doesn't appear much. Relative: Ogata Kazuya (elder brother, 25), Mother and father both missing and presumed to be dead.